Happy Holidays and Here’s to a Wonderful 2019! All the staff here at J. Stockard, James, Kate, Crystal and the warehouse crew, wish all our followers and friends a wonderful holiday. We thank you for your support and business throughout 2018 and look forward to serving you in 2019. Speaking of 2019, our 2019 catalog is in the mail and should arrive shortly. If you just can’t wait, you can find our 2019 eCatalog here right now! This entry was posted in J. Stockard Fly Fishing News and tagged 2019 Catalog, J Stockard on December 21, 2018 by J Stockard. 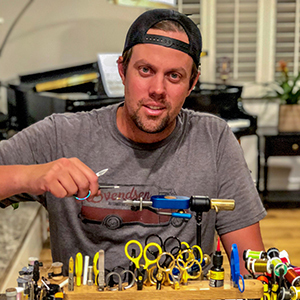 We’re pleased to introduce you to Erik Svend Svendsen of Provo, UT, the most recent addition to our Pro Tyer Team. Erik mainly ties for trout, but he really likes tying new patterns. He has a goal of #tyingoneflyaday where every day he tries to tie a fly pattern he never tried before. Sounds like a great idea to us! A college girl friend introduced Erik to fly fishing and he was instantly hooked – to fly fishing that is. He fished for several years and then took a break. A few years ago, after a summer of diving into fly fishing seriously, he thought that the best way to understand the bugs and patterns would be to tie his own flies. He took a course in the summer of 2016 and was instantly addicted. 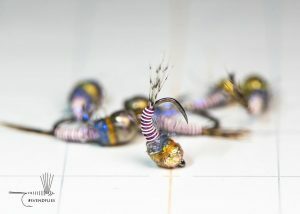 One of Erik’s latest creations – Firehole Outdoors hook, Nature’s Spirit Fly Tying partridge tail, Semperfli straggle string and nano silk. Hareline Dubbin gritty tungsten sealed with Loon Outdoors thin then flow. For Erik, tying is an escape that focuses him on something so small and that only takes minutes from start to finish yet gives a real a sense of accomplishment. Tying has led to great friendships both on and off the water and helps Erik feel more involved in the sport even when he can’t fish as much as he’d like. When the occasion presents itself, Erik volunteers with the local Scout District, teaching the fishing merit badge and hosting fly tying night for the boys and leaders. He also occasionally works with troubled youth with a goal to get them ‘on the water’ whenever he can. 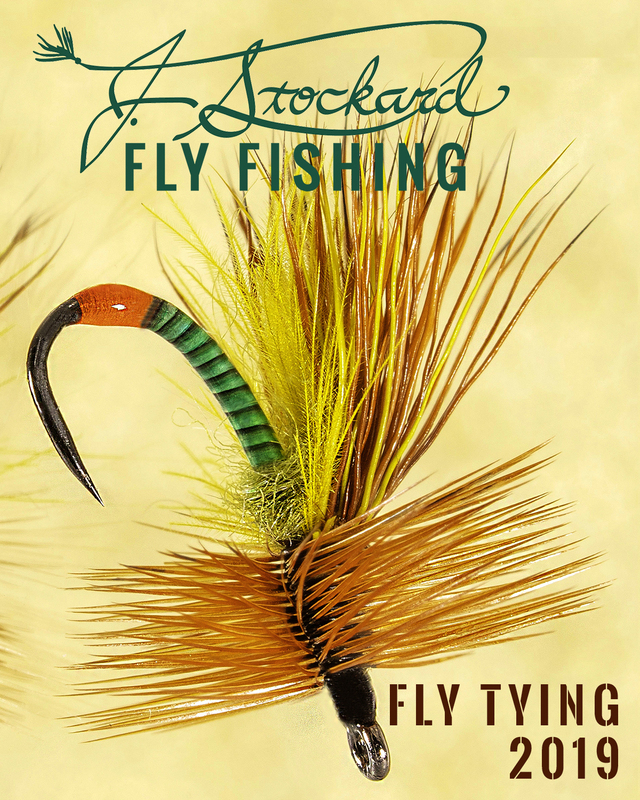 This entry was posted in J. Stockard Fly Fishing News, J. Stockard Pro Tyers, More from J. Stockard, The Art of Fly Tying on October 9, 2018 by J Stockard. We would like to officially welcome John and Katie Demuth of Kingsport, TN, to our team of J. Stockard Pro Tyers! 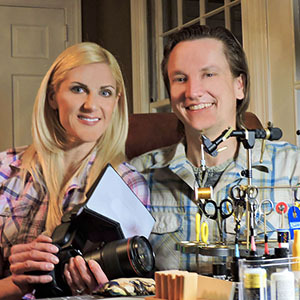 This entry was posted in J. Stockard Fly Fishing News, J. Stockard Pro Tyers and tagged Demuth Fly Fishing, Demuth Photography, fly fishing, fly tying, pro tyers on April 26, 2018 by J Stockard.